UK College of Engineering holds reception dedicating James and Gay Hardymon Center for Student Success - 3rd floor F. Paul Anderson Tower. 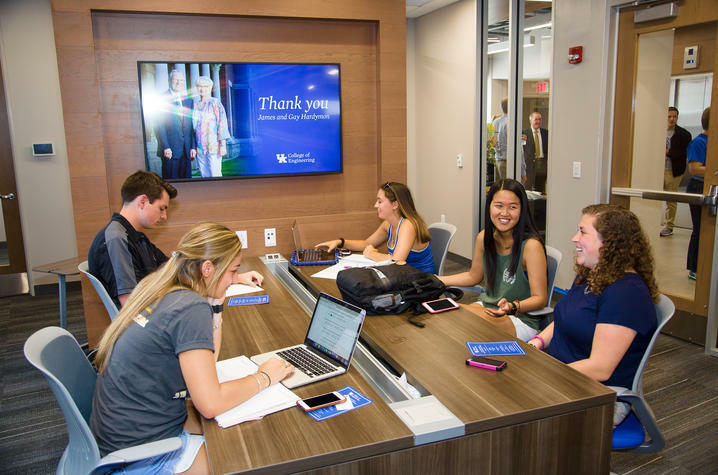 On Aug. 25, the University of Kentucky College of Engineering changed the way students learn through the opening of a new student resource, the James and Gay Hardymon Center for Student Success. The 9,600 square foot renovation occupies the entire third floor of historic F. Paul Anderson Tower and centralizes essential student resources in one convenient location. 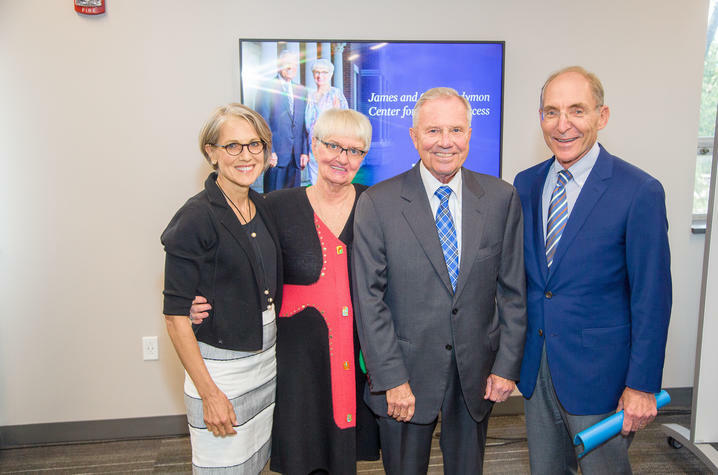 Alumnus James F. Hardymon, who has given to numerous initiatives within the College of Engineering and the University of Kentucky, donated the $3.5 million necessary for the renovations, as well as additional funding toward an endowment for the college’s undergraduate research and education abroad programs. President Eli Capilouto and Provost Tim Tracy spoke at the celebration. President Capilouto remarked that the vision for the new center is in line with UK’s larger campus transformation. President Eli Capilouto and Dr. Mary Lynne Capilouto with James and Gay Hardymon. Provost Tracy emphasized the communal benefits of the center. The center features academic tutoring from the Tau Beta Pi honor society as well as presentation guidance in the Elbert C. Ray eStudio, which had formerly been on the first floor of the Ralph G. Anderson Building. Academic advising, student records and career development services are also located in the center. Interim Dean Larry Holloway explained that no matter what year a student may be, he or she will have plenty of reasons to utilize the center. Whereas freshmen students will stop by to meet with well-trained, caring academic advisors, students thinking about graduation will make it a point to visit career development specialists. James Hardymon received his bachelor's (1956) and master's (1958) degrees in civil engineering from UK. He served as chairman and chief executive officer of Textron Inc., from 1993 to 1998 and retired in 1999. Prior to joining Textron, he moved through the ranks at Emerson Electric Company, eventually becoming chief operating officer and president of the firm. He was inducted into the College of Engineering Hall of Distinction in 1995 and UK’s Hall of Distinguished Alumni in 2000. This article was originally posted on UKNow; to see the original article, click here.